TangoBootCamp was our original bootcamp and is widely recognized as THE entry point to Tango. Well over 1000 people have attended our courses. 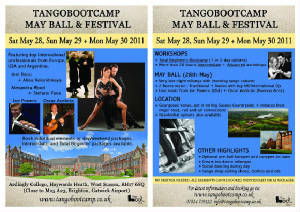 Watch the tangobootcamp advert featuring Alexandra Wood and Stefano Fava. Just press play.